In this particular investigation the suspects were using an Ice cream shop as a front for the movement of stolen property, and the distribution of methamphetamine. Because of the unique dynamics of this particular location, there was little opportunity to deploy a covert video surveillance system unnoticed. The case agent located an office building in which the camera could effectively be deployed. However, the office was a full block away from the target location. 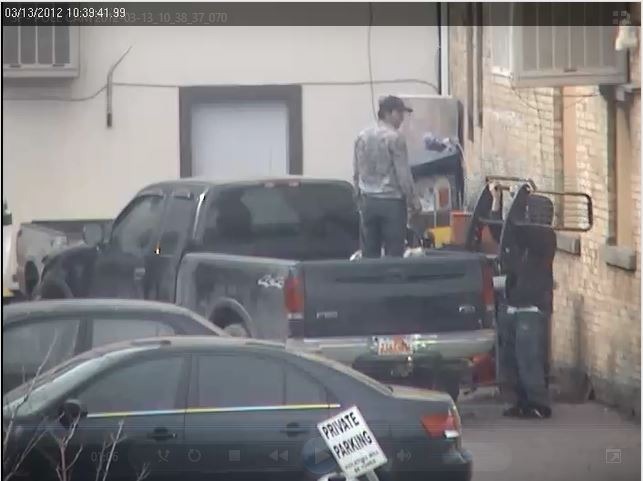 Using the powerful zoom features of the camera system, they were able to successfully identify the movement of freshly stolen property into and out of the business back entrance. A warrant was quickly obtained, and stolen property was recovered from over 15 different criminal burglary investigations. Below you will see some of the actual video that was obtained which shows the movement of some of the property.